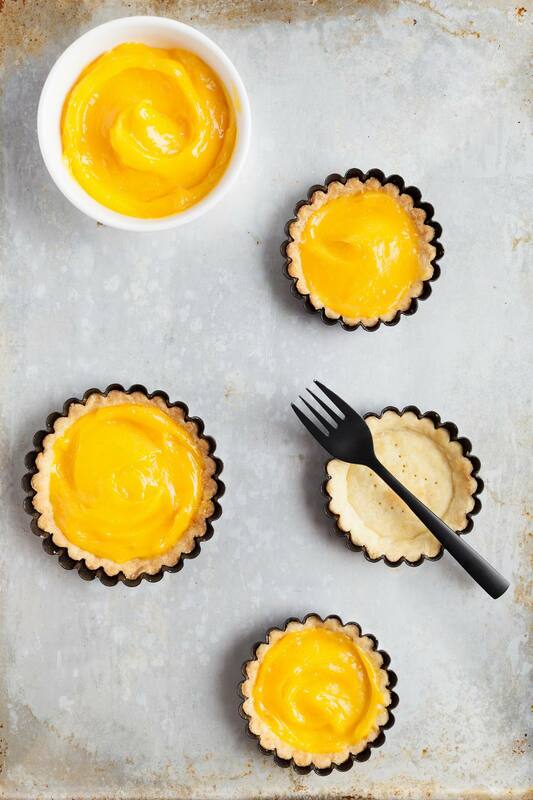 Fresh lemon zest gives this lemon pastry cream recipe a sweet, invigorating vibe. If you can’t find lemon liquor to complete the recipe, use 1/2 teaspoon of lemon extract as a substitute. For a traditional flavor, pair the lemon cream with fresh berries. For a classic European combination, simply glaze the filled pastry with a bittersweet chocolate frosting. In a small saucepan, warm the milk and lemon zest over low heat until it is just hot enough to steam. Once the milk is steaming, add half of it, whisking constantly, to the egg mixture. Add the milk and eggs back into the hot milk, continue stirring, and heat it for 1-2 minutes, until the custard reaches 170F on a digital thermometer and is very thick. Remove from the heat, stir in the vanilla extract and lemon liquor (or extract), and chill before filling pastry.